Trouble sleeping? You may need to examine your outlook on life. A study published online July 10, 2017, by Sleep Science and Practice found that people who felt they had more meaning and purpose in their life had fewer sleep disturbances like sleep apnea and restless legs syndrome. Researchers asked 823 older adults, average age 79, to fill out questionnaires about their sleep quality and their feelings about their lives, such as how strongly they agreed with statements like "I feel good when I think of what I've done in the past and what I hope to do in the future." The results showed an association between a more positive outlook and better sleep. 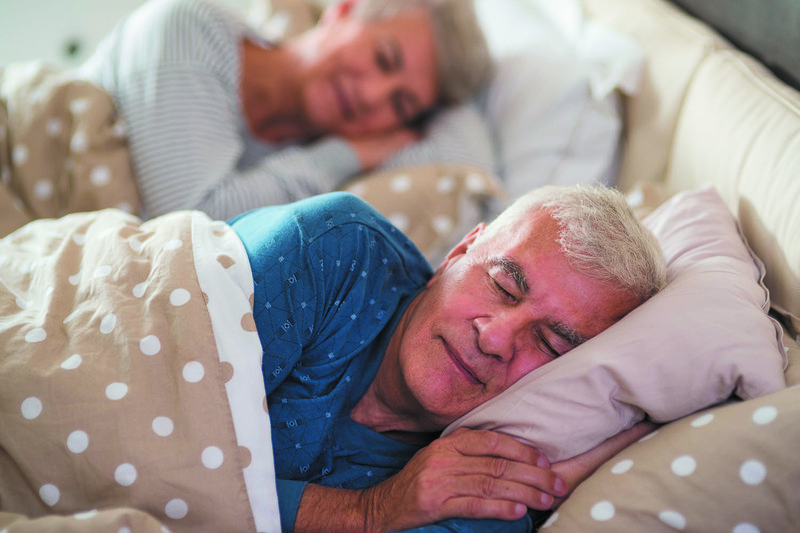 People who felt their lives had meaning were 63% less likely to have sleep apnea and 52% less likely to have restless legs syndrome at the two-year follow-up. The connection could work two ways, according to the researchers. For instance, people who feel good about their life tend to be more proactive about maintaining good health, such as staying active and exercising regularly, both of which are linked to better sleep. Also, people who battle age-related issues that dampen one's outlook on life, like depression and heart disease, tend to have more sleep problems. Is my constant exhaustion normal?